Akeela qualified as a Solicitor in 2009, having trained at a well established Manchester based law firm. After demonstrating her knowledge and ability, Akeela was quickly made associate at the firm further working her way up to Branch Manager and specialising in both residential and commercial property. Akeela established a solid presence throughout the North Manchester area and decided to set up her own practice and continues to boost her reputation in respect of her expertise within Property Law. 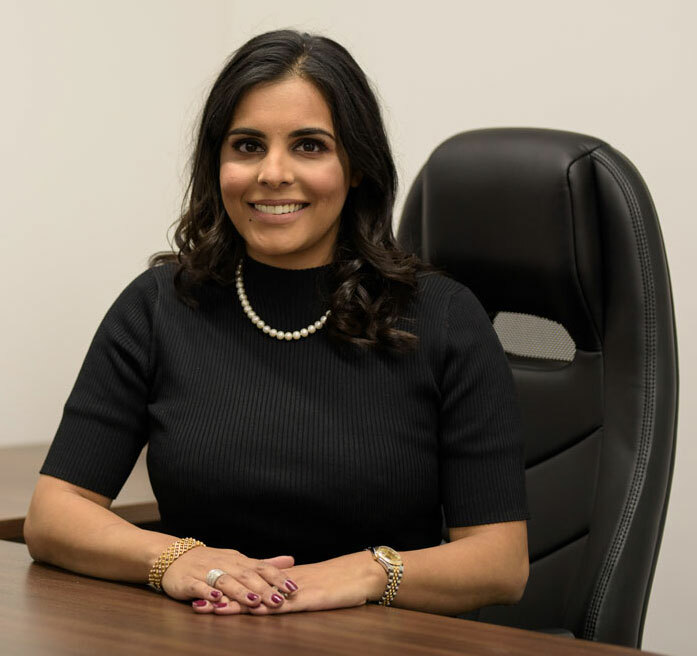 Akeela handles a wide range of property transactions and has extensive experience in property finance, which includes acting for numerous financial institutions and borrowers. Akeela also acts for developers, investors, SSAS and SIPPs on a variety of property transactions; from the sale and purchase of office blocks to the transfer of substantial property portfolios on behalf of pension schemes. Due to an increased demand for knowledgeable and efficient Property Solicitors in the South of Manchester, Akeela went on to open her second branch in July 2017. Akeela now heads up the Commercial Property department in Cheadle, dealing with complex high value commercial transactions. Akeela prides herself of her pragmatic approach and her ability to ‘get the job done’ and on the level of support she offers her clients, guaranteeing a personal service to each and every one.